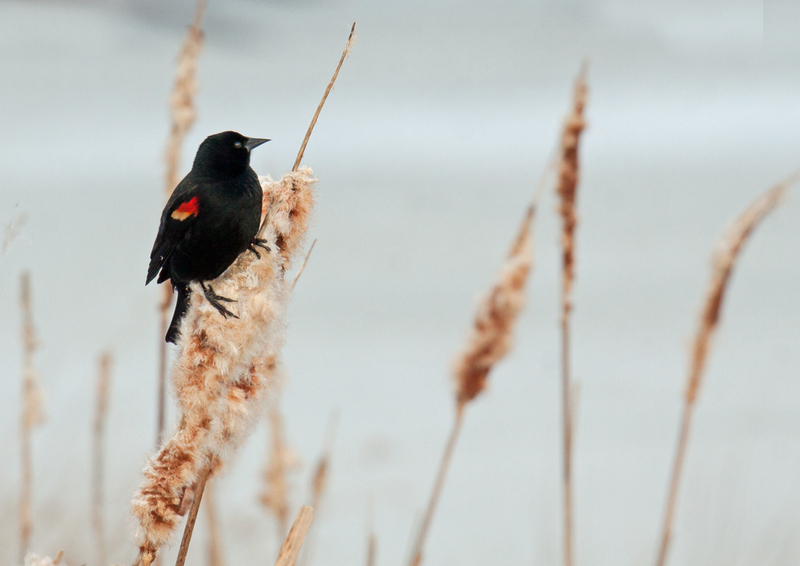 Early yesterday morning I trudged through the crusted snow to my favorite spot at Huntley Meadows Park. Along the way I saw a Bald Eagle and a hawk, so I knew that it was going to be a good day. My favorite spot is a beaver pond in a somewhat remote area of the park. l like to sit at the edge of the pond and watch and wait as a feeling of peace and serenity gradually envelops me. It seems so far removed from the hurried rat race characteristic of the Washington D.C. area and has a restorative effect on my overall well-being. The pond is frozen now, so I am able to sit on one of the logs that make up the beaver dam and extend my feet over the ice. I place a big plastic bag on the log and sit on a folded towel, so it’s pretty comfortable, even when the temperature is below freezing, as it was yesterday. As I was looking toward a Great Blue Heron to my left, I detected some movement out of the corner of my right eye. 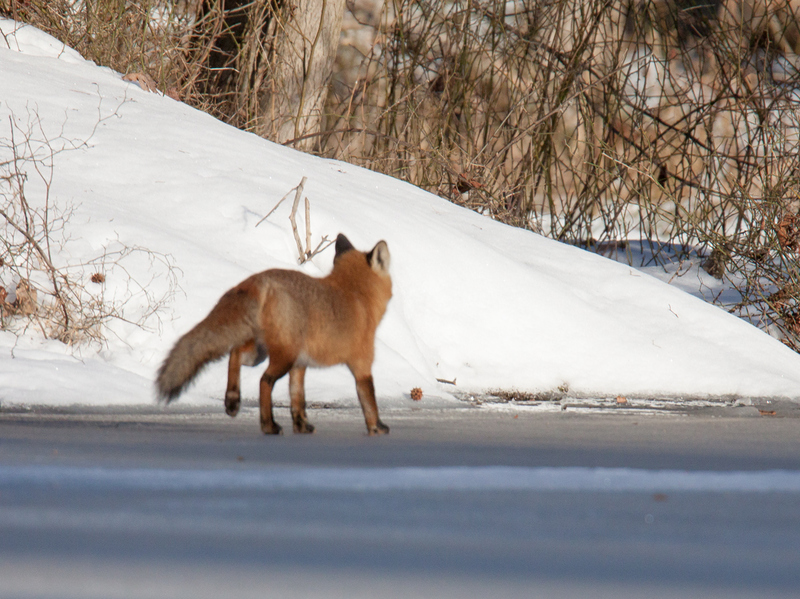 I stopped breathing for a moment when I saw that a Red Fox (Vulpes vulpes) was standing on the ice. It looked like the fox had been planning to cross the pond and stopped when it spotted me. Our eyes met for a moment as I took a few shots. Then the unthinkable happened. I pressed my shutter button and the shutter did not engage. Glancing down at my camera, I saw that the battery had died—several hours of freezing temperatures had temporarily drained the battery. This had happened before, although never at a critical moment, so I had another battery in my pocket. 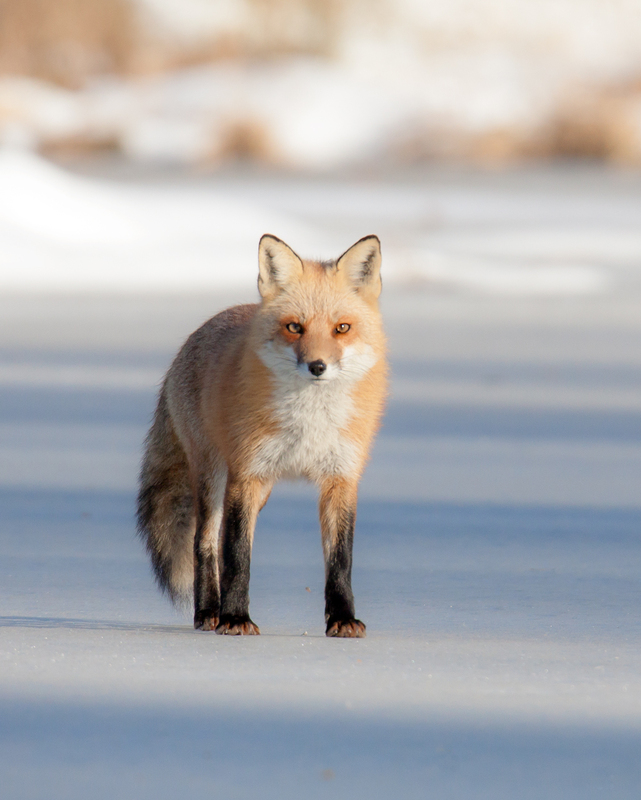 I tried to change the battery as quickly as possible, but the additional movement spooked the fox a little and and it turned around and made its way back to the far bank of the pond. I managed to get a final shot of the fox after the battery change. The fox’s face is not visible, but at least you can see its bushy tail. 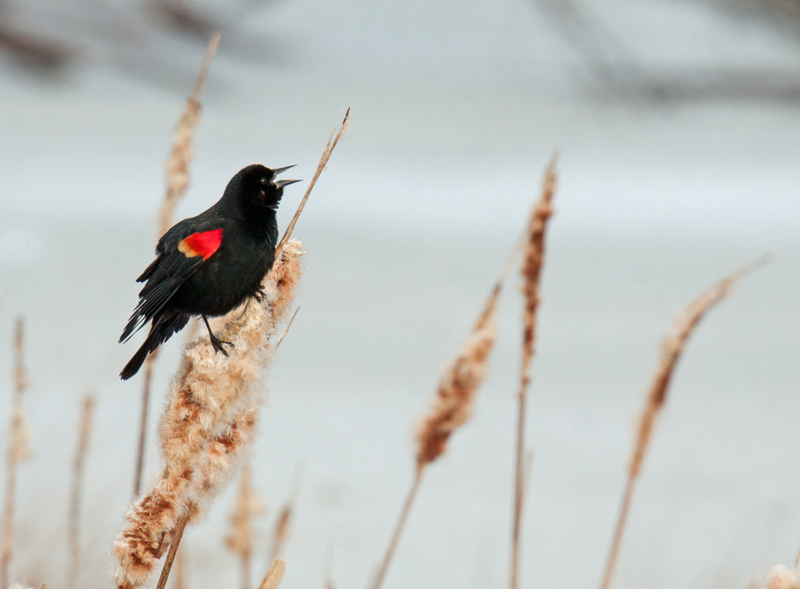 Several male Red-winged Blackbirds (Agelaius phoeniceus) were calling out loudly in the cattails yesterday morning at Huntley Meadows Park as I walked crunchy snow on the boardwalk. There was no way that I could sneak up on the birds for a closer shot, so I was content to photograph them from a distance. I love the look of birds against a snowy backdrop and decided to leave a lot of literal white space around the blackbirds to give a sense of the setting in which I found them. Temperature are going to soar in the next few days, so I am going to take advantage of the snow while it is still present in our area. 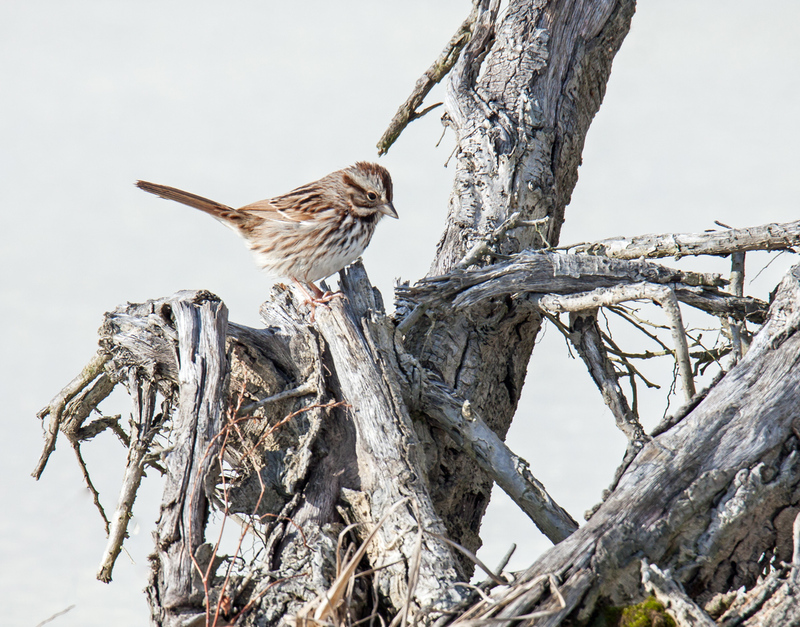 Are sparrows cute? 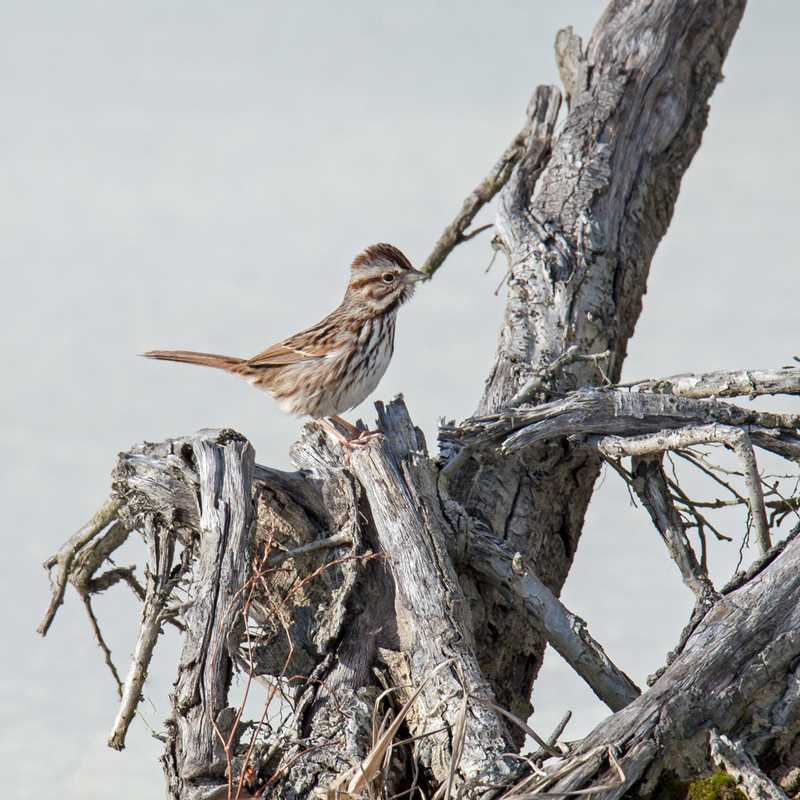 Normally I don’t think of them as “cute,” but this Song Sparrow (Melospiza melodia) that I spotted hopping around earlier this week at Huntley Meadows Park was simply adorable. I really like the simple white background provided by the snow and the organic shapes and texture of the small stumps that were sticking out of the frozen waters of the pond. 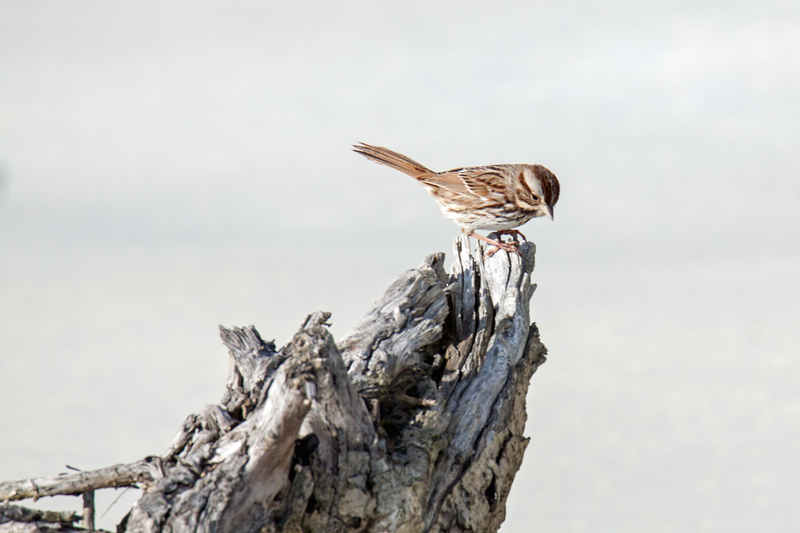 Those simple elements add interest to the images without detracting from the main subject, the cute little sparrow. 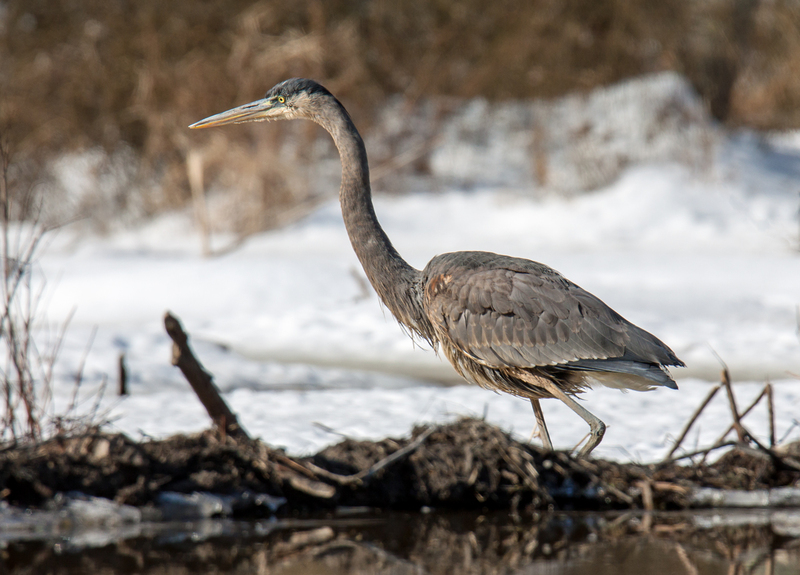 Yesterday I came upon this Great Blue Heron (Ardea herodias) in one of the back areas of Huntley Meadows Park during my first visit there in a week. There was an area of open water in an ice-covered pind and I watched the heron catch several fish. I’m still going through my photos and may post some shots of his catches later. For now, I’ll leave you with this image of the heron walking toward the edge of the water. Although the park was technically open throughout this recent snowstorm, the gate at the entrance to the parking area was closed. A Facebook posting from a friend yesterday morning noted that the parking lot was being plowed and I immediately headed out to my favorite park. Wednesday is normally a work day for me, but I had decided to take the day off to avoid a commute that promised to be hellish. The park is still covered with lots of snow, including the boardwalk, but was passable with some effort. In some places, there is a narrow packed snow path where others have walked. My favorite places, though, were literally off of the beaten path and I found myself wading through a foot of wet slushy snow to get to them. The only other tracks I saw in these areas were those of animals. I’d love to return to the park today, but will probably have to go to work instead with what could be a hellish commute. Local schools have finally decided to call it quits for the entire week after several days of announcing daily closures. Even the federal government is opening with a three-hour delay today. 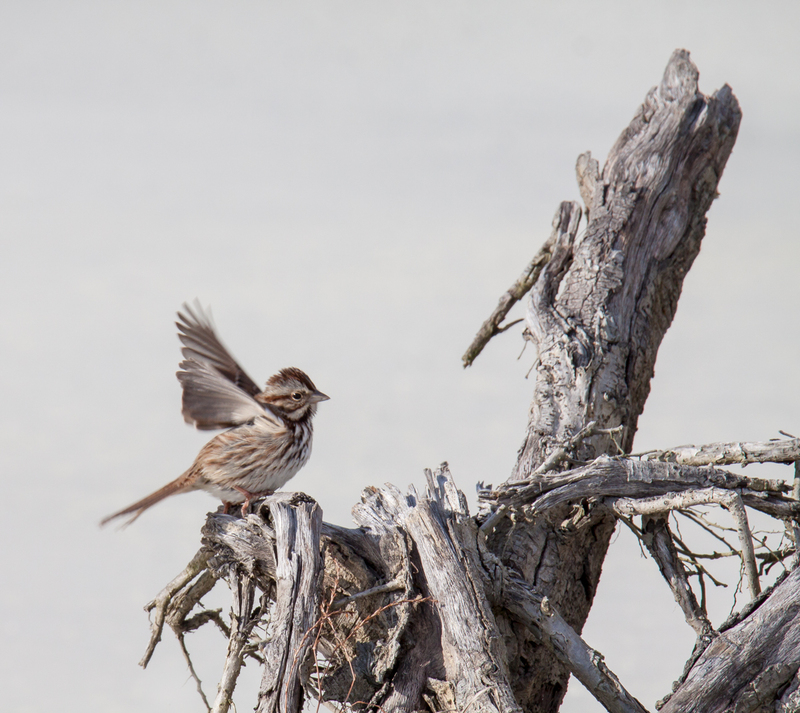 I feel so much more energized now after having the chance to get out in the wild yesterday with my camera. I guess that I hadn’t realized how much I had missed the experience and how important nature photography had become in my life. 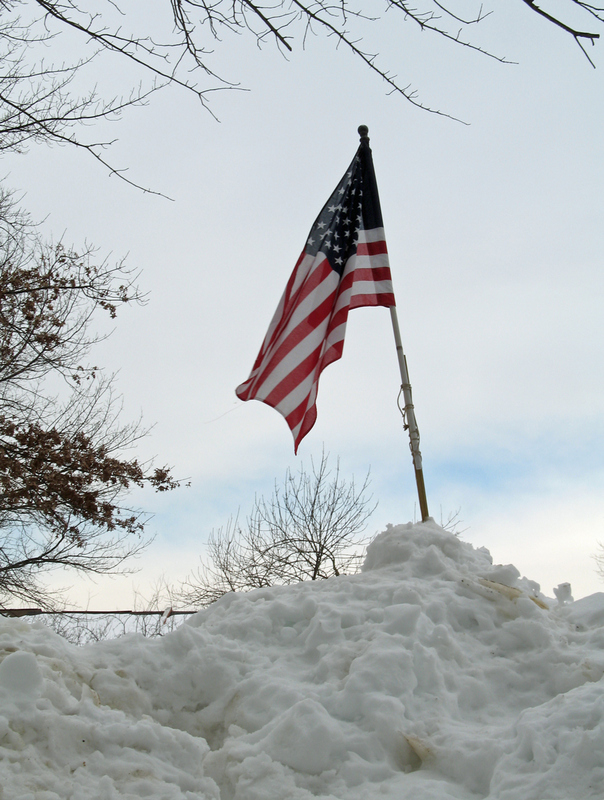 As the first one to scale this mountain of snow outside my house, I planted the flag yesterday. I wonder if I get naming rights for the mountain. Parking is a bit cutthroat in my neighborhood right now as folks put traffic cones and other objects in the spots they have cleared in an effort to “reserve” the open parking space in which they are parked. I sure hope nobody removes my flag and parks in the mountaintop spot with a great view. Who is my neighbor? 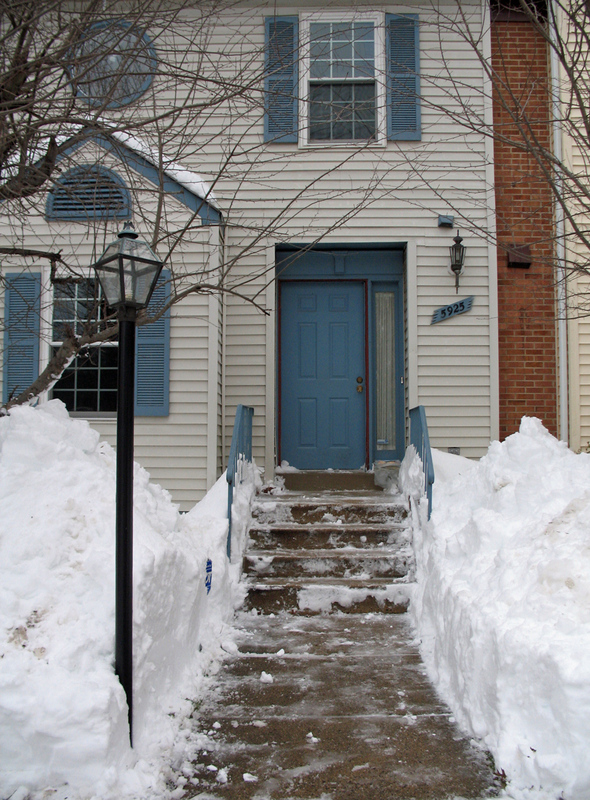 Can you imagine moving into an unoccupied house in a townhouse community this week and being confronted by two foot drifts of snow on your stairs and walkways? I’ll have new neighbors soon and decided to help them out, even before they have arrived. I don’t know their names and that doesn’t really matter to me—they are already my neighbors. The photo gives you an idea of the amount of snow that fell in our area. I’ve noticed that this giant snowfall has brought out the worst in a few people, who have done nothing but incessantly complain. It has been gratifying, though, to see that the storm has brought out the best in a much larger group of people, with neighbors helping neighbors as we dig out together. I hope to return to nature photos soon and hope that readers have not been too disappointed with all of the snow photos. 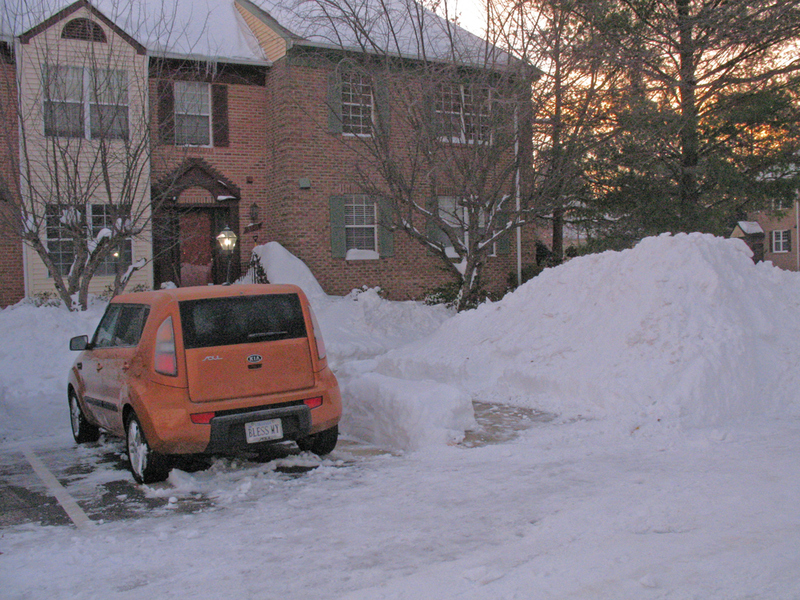 In the pre-dawn hours of Monday morning, I finally finished digging out my car. It was quite enjoyable shoveling in the moonlight. 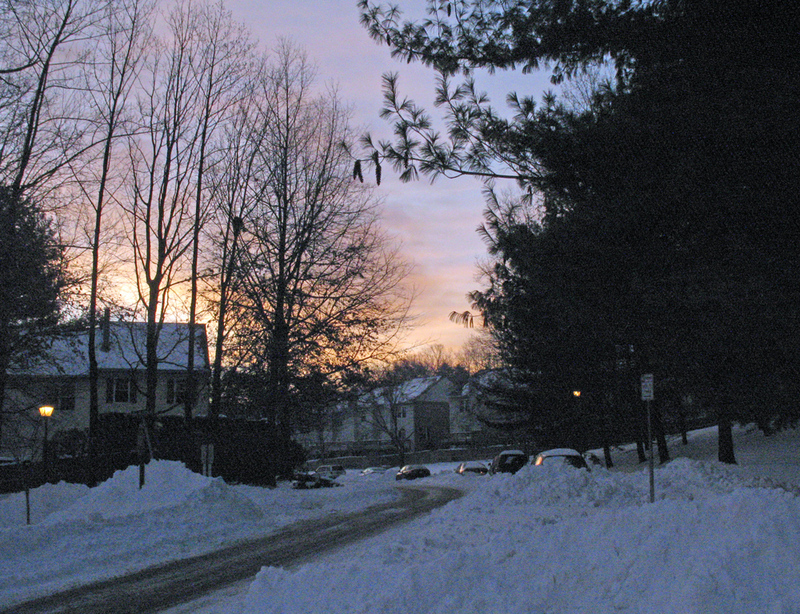 When the sun finally rose, here’s what my car looked like, followed by a shot of one of the main streets in the neighborhood. It’s now 4:00 p.m. and I have finally given up shoveling for the day. I’ve been at it off and on for almost 10 hours and my body is starting to protest a bit. One of the nicest things about snowfalls like this one is that it gives me a chance to meet the people who live around me. Most of us are so busy with our individual lives that we don’t even know our neighbors. Today was especially gratifying as I witnessed so many of them working together to help dig out from the storm.